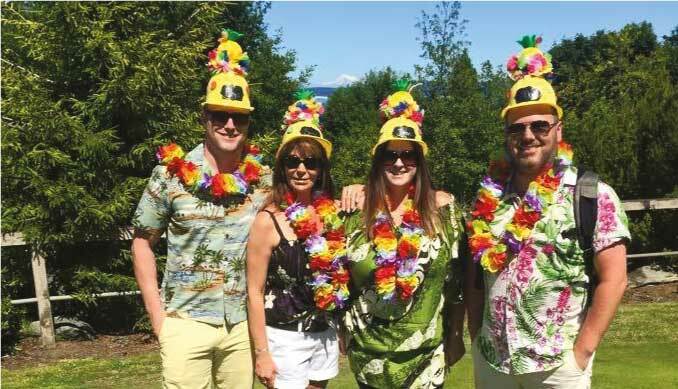 The South Island Home Team consider community support an integral part of their organization and personal lives and are proud to support a variety of local and international causes and organizations. We are currently supporting the organizations featured below. If you would like to join us and become involved, please connect with us. Every dollar raised goes directly to helping the more than 30,000 women and children who are served each year by the shelters and support programs we fund. Since 1998, the Shelter Foundation has raised more than $24 million and currently supports 200 local women's shelters and national partners. Our agents donate a portion of their commissions and Royal LePage offices across Canada hold local fundraising events. Our brokers, agents, and staff also volunteer and provide in-kind goods to benefit the women and children residing in their local shelters. To read brave stories of hope from families whose lives have been touched by abuse or to learn more about domestic violence, please visit their website. The South Island Home team are supporters of The Cridge Centre for the Family. The Cridge is a place where people can find hope and direction when they are the most vulnerable and in need . . . a community of caring individuals who believe there’s more to social services than providing programs . . . because love is the bottom line. You’ll find us in a number of locations in Greater Victoria, and our services include child care for children from all walks of life, supportive housing for families in economic or relationship crisis, services for women and children who have been impacted by relationship violence, respite care services for children with disabilities along with respitality support for their parents, support and outreach for young parents, a residence and other services for survivors of Brain Injury, as well as our Seniors’ Assisted Living Housing. This remarkable organization has a rich history, a dynamic present, and an exciting future. Please take time to explore the numerous ways in which children, families, and adults discover new paths to growth and independence through The Cridge Centre for the Family. If you would like to offer your help, we have some great ideas for you! Since 1975, several thousand women have come to our doors looking for help, seeking a brighter future for themselves and their children. Victoria Women’s Transition House Society has been there to provide a safe, welcoming shelter, respectful counseling, support, and advocacy. A lot has changed in 35 years. But our purpose has stayed the same – to provide a helping hand and a safe place for women to envision a new future. South Island home team support The Ride for Refuge which is family-friendly cycling and walking fundraiser that supports charities who provide refuge and hope for displaced, vulnerable and exploited people everywhere. Our Place is an inner-city community center serving Greater Victoria’s most vulnerable: working poor, impoverished elderly, mentally and physically challenged, addicted and the homeless. Individuals and businesses provide the majority of financial support for our programs and services. Our Place serves over 1,600 meals per day and provides hot showers, free clothing, counseling and outreach services, plus 45 transitional housing units. Most importantly, we provide a sense of hope and belonging to our neighbors in need. We invite you to explore Our Place, either in person or through our website, so you too can experience the hope, and empowerment that lives here! Not only are we proud long-term sponsors of the Victoria Shamrocks, Rhys Duch is a veteran, decorated Shamrock player with several national championships to his name! Victoria Shamrocks began in 1950 and the team’s name has been inscribed nine times on the national box lacrosse championship trophy. The Victoria Shamrocks support local youth sports teams and participate in fundraising opportunities to give back to the community. Jenn is a local Rotary member and past president of her chapter. The Community Food Bank of the Western Communities has been in operation since 1983. It was launched by a number of service organizations to counter the effect of the recession on low-income residents. Hundreds of volunteer hours were devoted to starting the program. We deeply appreciate the generosity of those who donate their time, food and financial resources in the constant struggle to keep our food bank Solvent.